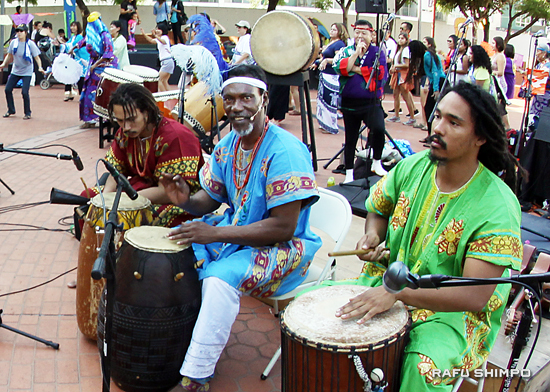 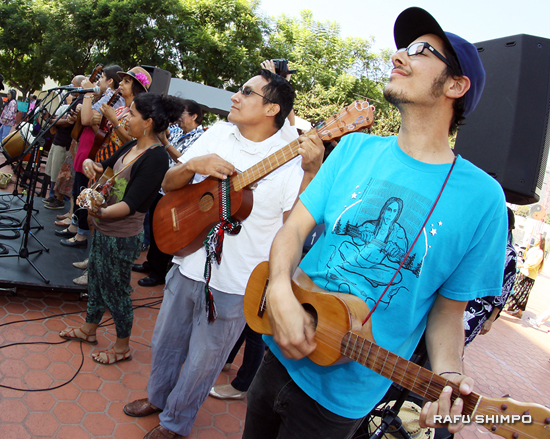 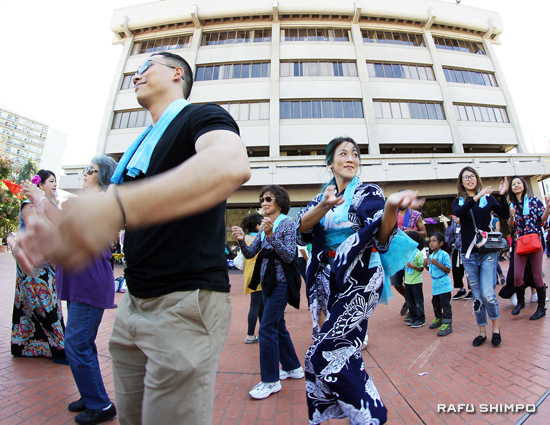 The second FandangObon was held Sunday in the JACCC Plaza in Little Tokyo. 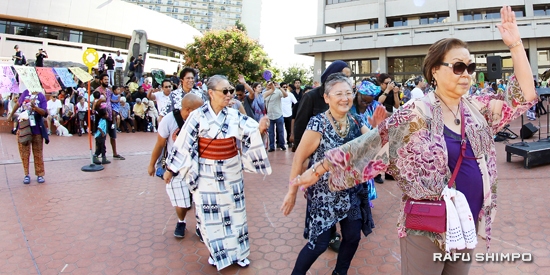 Created by Nobuko Miyamoto, artistic director of Great Leap, and Quetzal Flores and Martha Gonzales of the Grammy-winning band Quetzal, the event combines the Japanese Buddhist tradition of Obon with fandango, which draws from Mexican, Indian and African roots. 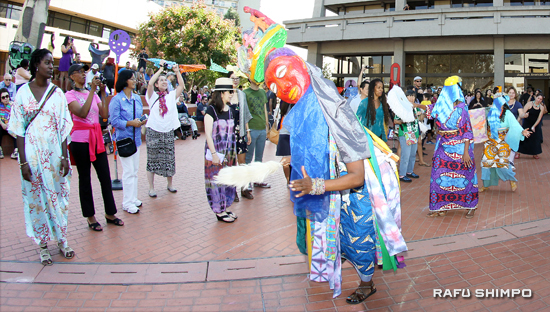 New this year was the participation of Nigerian drum master Najite Agindotan and Yoruban masks. 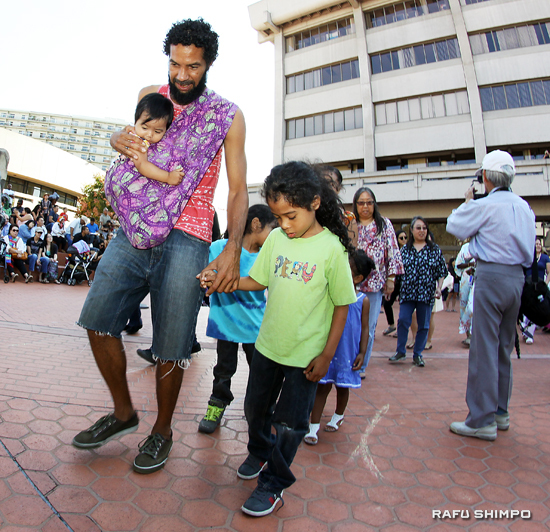 The dancing and music was preceded by the Mottainai EcoFest.